At each of the three sites a 5 meter x 5 meter plot was established. A permanent corner peg with a metal tag referenced B1, B2 or B3 gave the starting point. A GPS reading was recorded for each starting point and each plot followed site specific compass bearings (refer below). All Acacia and Banksia seedlings found within each plot were recorded as was maximum height. Surveys were undertaken on the 14th November 2011 and the 7th November 2012. Photos were taken at each site as was a general species list. 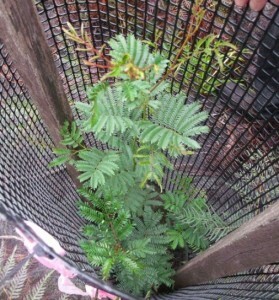 At site B1 three tree guards were placed around Acacia and Banksia seedlings to be used as reference points. 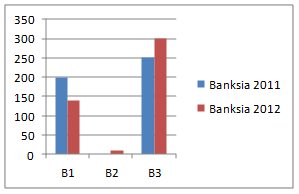 Overall for site B1 there were 4 less Banksia integrifolia/serrata seedlings (19% loss) and an increase of 3 Acacia terminalis seedlings (30% increase). Banksia integrifolia/serrata maximum height decreased by 60mm (30% drop) and Acacia terminalis seedlings recorded no change. 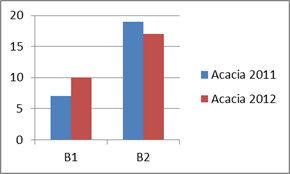 Overall for site B2 a single Banksia integrifolia/serrata seedling was recorded compared to 0 in 2011 (100% gain) and a decrease of 2 Acacia terminalis seedlings (10% decrease). 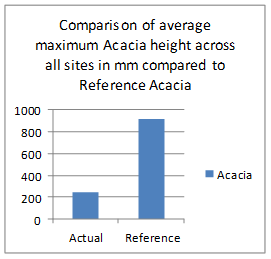 Acacia terminalis seedlings recorded 190mm increase in maximum height (56%) although the average was less than that recorded in 2011. Overall for site B3 there were 11 less Banksia integrifolia/serrata seedlings recorded (39% decrease) as with 2011 no Acacia terminalis seedlings were recorded. Banksia integrifolia/serrata maximum height increased by 50mm (17% increase). 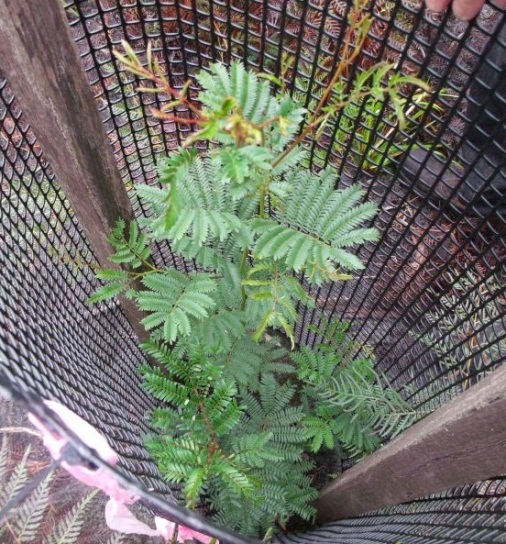 The reference Acacia terminalis seedling protected by the tree guard showed a growth rate of 89% from 100mm in 2011 to 920mm in 2012. All three sites showed effects of grazing on seedling development and there was evidence of some new recruitment since 2011 which may be a result of favourable weather conditions. Although the results showed increases and decreases in total numbers of seedlings across the study sites, there are many variables that were not measured that could account for this including competition, extreme weather conditions and insect attack. The more important finding is that on the seedling growth rate over the one year period. Although there was a slight increase, the overall growth rate is not what would be expected, especially for Acacia terminalis which is noted as a fast grower. 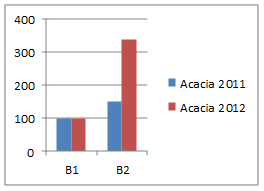 This fact is highlighted by the reference acacia at site B1 which had grown 820mm in just under a year compared to the plot B1 acacia’s that showed no growth over the same period. From this we can draw a conclusion that browsing is having a direct effect on seedling development, unfortunately though we have no evidence of what is causing the browsing. Establish more single tree guards around seedlings so more precise statistical analysis can be performed on growth rates. Because we can conclude that browsing pressure is impacting on the development of seedlings we need to now concentrate on monitoring and recording the herbivore species responsible, the most logical and cost efficient method is through the installation of remote cameras.